The wide-ranging cross-sectoral international nature of the travel industry makes it ripe for partnerships across the globe. Behind the scenes, trips include international, national, regional and local stakeholders, with the potential to benefit locals in far corners of countries worldwide. Sustainable tourism in particular engages in collaboration as a priority, putting the host community first, and working together for social benefits, environmental preservation and great guest experiences. Creating sustainable development with social, environment and economic net benefits cannot be done alone. And as we’ve documented, the 17 Sustainable Development Goals do not work in isolation – there are strong inter-dependencies. Cross-sector partnerships can help create the strong enabling environments required for implementation. From Old French policie ‘civil administration’, via Latin from Greek politeia ‘citizenship’, from politēs ‘citizen’, and from polis ‘city’, forming the basis of ‘politics’ itself, Policy refer to the basic principles by which governments are guided in the interests of nations. At global policy level, international co-operations between national governments, public institutions and regulatory bodies create such principles to support decision-making, implementation and evaluation, through procedures and protocols. The Sustainable Development Goals overall are an example, developed by The United Nations, an intergovernmental partnership organization formed after the 2nd World War in 1945 to promote international cooperation and to create and maintain international order. Main objectives include peace keeping and security, human rights, economic development and humanitarian assistance. Specialised agencies support the work, such as The World Bank Group, the International Labour Organization, the International Monetary Fund, the World Health Organisation and the World Tourism Organisation. Earth Changers has an informal partnership itself with UNWTO, supporting us as a solution provider for advancing sustainable tourism with innovative projects and initiatives. From a sustainable tourism point, many organisations have a responsible tourism policy. But policy does not necessarily mean practice, and ‘greenwashing’ can say all the right things for PR but mislead in claims. "Personal choice and drive through understanding is inherently more sustainable than mechanical implementation of company rules”. Policy alone cannot realise benefits. Principles require engagement, strong commitment and implementation support from governments, other inter-governmental organisations (some invited ‘observers’ to the UN), academia, non-governmental organisations, businesses and individuals in partnerships in many ways. One such inter-governmental organisation is The Organisation for Economic Co-operation and Development (OECD), founded in 1960 by countries committed to democracy and market economy to identify, coordinate and stimulate best practice for economic progress and world trade. Most members are high income economies with a very high Human Development Index. Many make up the Development Assistance Committee (DAC), with others, which contributes to a common foreign aid budget. Coordinating policies to help developing countries manage their debt, as well as promoting investment for the least developed, is vital to achieve sustainable growth and development. Many countries require Official Development Assistance to encourage and support growth and trade. While assistance increased 66% from 2000 to 2014, with main beneficiaries in sub-Saharan Africa, Latin America and the Caribbean, humanitarian crises caused by conflict and natural disasters necessitated more financial resources, with less tending to go to the neediest sub-Saharan African countries. As global warming and conflicts increase, more aid may be required. In 2016, net ODA rose by 8.9% in real terms to $142.6 billion, reaching a new peak. ODA as a percentage of member countries’ gross national income was 0.32%, up from 0.30 per cent in 2015. Aside the increase in aid spent on refugees in donor countries, aid rose 7.1%. In 2016, six countries – Germany, Denmark, Luxembourg, Norway, Sweden and the UK — met the UN target to keep ODA at or above 0.7% of gross national income. Debt service in lower-middle-income countries fell from 12.9 per cent to 3.6 per cent between 2000 and 2011, before rising slowly to 6.1 per cent in 2015. In low-income countries, debt service hit a low of 3.2 per cent in 2010 before increasing in subsequent years, reaching 4.5 per cent in 2015. Key to reduction was enhanced debt management, attractive borrowing conditions and increased export earnings in international markets. However, for 36 of the 39 countries eligible for the Heavily Indebted Poor Country Initiative, it was debt relief from official creditors that enabled around US$ 136 billion. In Malawi small village financed loans enable female empowerment and greater gender equality, supporting women to set up businesses, of key importance as small and medium-sized enterprises provide two thirds of jobs in developing countries and up to 80% in low income countries, and create further opportunity for self-sustaining wealth generation, innovation and creativity. SEED Madagascar’s Stitch St Luce project, which trains and empowers women to run an embroidered products international business for sustainable livelihoods, has also seen a beneficial result of women’s income on better family health and education attendance. Nikoi Island has also helped establish employment opportunities through local businesses such as car hire and alang-alang (ylang ylang) grass roofs, beneficial to the community, operations and guests. Lapa Rios built and supports the local primary school, to encourage local education, community and employment over rural-urban migration. Tiger Mountain Pokhara Lodge supports the school and education, as well the community water and health first aid provision. These monies sent by migrants to their home countries are vital financial support, totalling $575 billion in 2016, 75% ($429 billion) of which went to developing countries: However, in 2016 remittances to developing countries fell for a 2nd consecutive year, declining 2.4% on 2015. Remittance flows to Central and Southern Asia declined due to low oil prices and weak economic growth in the Gulf Cooperation Council countries and the Russian Federation; to Northern and sub-Saharan Africa due to weak growth in Europe. That said, contribution of remittances to individuals, families, communities and countries income still has a profound impact, exceeding 4% GDP for LDCs in 2015. The Sustainable Development Goals aim to enhance North-South and South-South cooperation and partnerships to support national plans to achieve targets that can help developing countries increase exports and so help achieve a universal, equitable, fair and open international trade system that benefits all. With such ambitious goals to implement around the world, multiple stakeholders from the private and public sectors can contribute specialisms and support the flow of finance, knowledge and skills to work for common goals and connect policy to grassroots practice, sustainably. As public funds are cut, for example from health, education and infrastructure (three of the other important world issues addressed in the 17 Sustainable Development Goals), public/private partnerships have become more commonplace. RSC’s experience shows that, like many African nations, Malawi has seen a lot Chinese investment in infrastructure like roads and bridges, as well as health and safety. This not only opens doors to tourism but also enables groups like schools to be fully supported. Nikoi Island in Indonesia has its Island Foundation. In some cases, the tourism becomes an arm of its partnered not-for-profit Non-Governmental Organisation, for example the Maasai Wilderness Conservation Trust NGO has become the larger operation of its Campi ya Kanzi in Kenya tourism arm, and works in partnership with the Government of Kenya and its Ministry of Health, for the 16,000 strong Maasai community. As an NGO, SEED Madagascar’s stated mission is "To enhance the capacity of individuals, communities, organisations and government in fulfilling sustainable environment, education and development goals in southeast Madagascar", working also with private sector tourism organisations to enable volunteer placements and fundraising. Such multi-stakeholder private/public partnerships are a core foundation for tourism development: for example, state-supported tourism boards and private tourism businesses share the common goal of marketing destinations, both wanting them to be better places to live in and visit: it makes sense work closely with each other in partnership. To do jobs competently, creating, improving, and retaining skills and knowledge is needed, for example recruiting into required roles, training and staff retention initiatives. In 2015, total ODA for capacity-building and national planning was $21 billion: 19% of total aid, as has been the case since 2010. Of the total, sub-Saharan Africa received $5.6 billion and South and Central Asia received $4.2 billion. Main recipients of assistance were the public administration, environment and energy sectors, together receiving $8.2 billion. In order to achieve strategic objectives, organised procedures help manage, deliver, measure and monitor efficiency and effectiveness. A national statistical plan is key to strengthening a nation's statistical system to support a strategic development vision. While between 2010 and 2015 the number of countries with a plan increased, and mostly outnumbered those without, many countries are still without a plan; in Small Island Developing States those without outnumber those with an active plan 17:7. Only 17 countries, mostly in Europe and Northern America, have fully funded national statistical plans. Countries’ own results frameworks enable results reporting of the SDGs, enhanced by other national monitoring systems. In 2016, 125 countries engaged in monitoring development effectiveness, demonstrating commitment to implementing the Global Goals and multi-stakeholder partnerships; 54 reported overall progress. Likewise, Tourism Master Plans for destinations help drive decision-making processes, implement policies, promote results-focused management and monitor progress. These must be integrated into a country’ other plans, interlinked as they are with security, infrastructure, investment, transport, heritage, conservation, communities and so on. For example, tourism will be integrated into Coastal Zone Management plans to help conserve and preserve fragile ecosystems. Quite often, different partnership contracts will be agreed to manage different parts of a plan, for example transport operators, accommodation, day tour operators, dive operators etc. 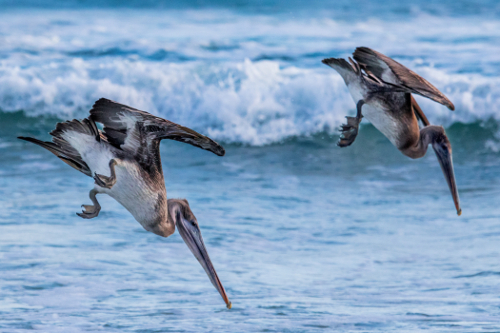 In sustainable tourism, strict sustainable management plans are also required to restore and safeguard populations and balance environments for longevity. This is where accreditation and certification agencies often step in, ideally providing a 3rd party objectively-verified framework and assessment for sustainability. 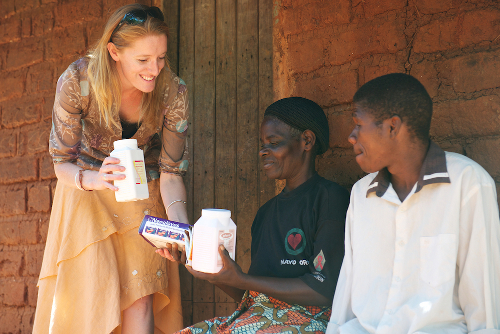 Earth Changers’ partnership with The Long Run is a great example. The not-for-profit is a global membership organisation of private protected areas, whose high level Global Ecosphere Retreat (GER) standard provides a verified frame of reference for its “4C” sustainability as a balance of Community, Conservation, Culture and Commerce initiatives for net positive impacts. Likewise, The Long Run partners with other non-profits, such as the Global Sustainable Tourism Council, who ‘recognise’ the GER standard meets its guiding principles and minimum requirements to protect and sustain the world’s natural and cultural resources, and ensure tourism meets its potential as a tool for conservation and poverty alleviation. Accountability requires data: there is growing awareness of the importance of statistics for evidence-based policy-making and development. However, while the Sustainable Development Goals have data requirements, there is a capacity gap in its funding for implementation. National statistical plans were being implemented by 81 out of 154 to report on the SDGs in 2016. However, only 37 of 83 countries or areas with pertinent data had national statistical legislation in place that complied with all 10 Fundamental Principles of Official Statistics. In 2014, developing countries received $338 million in financial support for statistics: an increase of nearly 2.9% from 2010, but only 0.18% of total ODA, where an estimated $1 billion in statistical support is needed to meet SDG requirements. Population and housing census are a key source of data to help formulate, implement and monitor development policies and programmes. From 2007 to 2016, 89% of countries or areas around the world conducted at least one, however 25 countries or areas were without one, for example due to financial constraints, technical difficulties in preparation, natural disasters, and political and social instability. Among these countries or areas, nine were in sub-Saharan Africa and seven were in Northern Africa and Western Asia. - 138 of 246 countries (56%) had birth registration data 90% complete, but in sub-Saharan Africa, only 8 of 53 countries reached that level. - 144 countries or areas (59%), had death registration data at least 75% complete, but in sub-Saharan Africa, only 9 in 53 countries met that standard. Information on births, deaths and population census is key to producing basic health statistics and indicators. Without this data, sustainable development is challenging. For sustainable tourism, measuring and data on economic, social and environment impacts is key to aiming for and achieving improvement. Tiger Mountain Pokhara Lodge measure many criteria, such as water use, energy and employment. For conservation, vulture and raptors are monitored for a joint project with another lodge, butterflies for national researchers, Asian Waterfowl for Bird Conservation Nepal and Birdlife International NGOs, and the climate twice a day for the Nepalese government Department of Meteorology. Measuring, monitoring and data evidence to back up work provides a framework to keep the lodge on track and improving. Improving equal access to IT and communications tools helps link us, share knowledge, foster innovation and report data and accountability, wherever we are. However, for large numbers of people in developing countries, connection remains unaffordable and unavailable, highlighting a vast digital divide. Fixed broadband penetration is one measure used: In 2016 in developed regions, this reached 30%, in developing regions 8.2%, and in the least developed countries, only and 0.8% respectively. (This can have quite an impact on travel organisations trying to arrange international trips!). Total population online is another measure. In developed regions, this is about 80% of the total population, about 40% in developing regions and 15% in the Least Developed Countries. But there remains a larger gender gap in internet user penetration. In 2016, it was 12% lower for women than men, even greater in the least developed countries, at 31%. In total, 1.5 billion do not have access to reliable phone services, and over 4 billion are without the internet: societies require this technological infrastructure to support development. In tourism, technology enables marketing, sales and logistical arrangements for tourists to book trips. In sustainable tourism, it enables alternative energy sources, helps conservation of species (such as anti-poaching drones) and facilitates community initiatives such as in education and health. World merchandise exports (goods, not services) for developing regions’ increased from 31.1% in 2001 to 44.6% in 2015, not only a growing share of international trade, but also a trade surplus vis-à-vis the rest of the world. However, the Least Developed Countries’ share decreased from 1.1% to 0.9% from 2011 to 2015, much due to a fall in commodity prices; and service exports lag behind. Average tariffs such as taxes applied by developed regions on imports remained unchanged; for the least developed countries at 0.9% for agricultural products, but a high 6.5% for clothing and 3.2% for textiles. Tourism, as a service industry, also makes a significant proportion of exports, growing by 3.1% to USD$2.31 trillion in 2016, offering a significant opportunity for economic benefits and job creation. Tourism can reach far into the extremities of a country, where other industry cannot, enabling business partnerships and development for communities otherwise neglected. 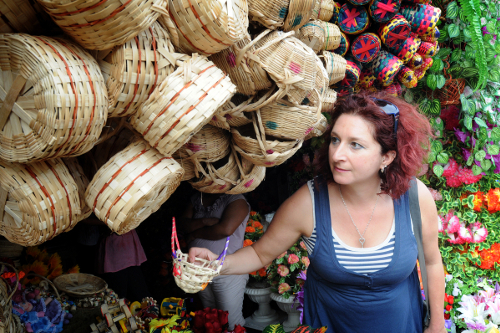 Community-based tourism in particular – tourism in true partnership with the local community in ownership, development and benefits - sees visitors hosted by locals, offering the tourist a deep experiential, participatory, cross-cultural insight into local people, culture and environment. In The Galapagos, experience its first community-based tourism, on Floreana Island. Historically, tourists may have had great trips to the islands but with little connection with the community and have left none the wiser about the local cultural, social and environmental issues and with little benefit going to support the island's issues and people. This new initiative offers a rare and precious real insight into island life. In Malawi, RSC facilitates immersive learning opportunities and challenge events to enable incredible insight into key global challenges facing rural communities. It is committed to sustainable development through social enterprise, reducing the dependence on the aid industry and driving tourism-generated income to rural communities through partnership. Global Sustainable Development tourism programmes offer participatory experiences of Malawi’s key trade goods and exports, such as Fair Trade tea, sugar and coffee, with homestay accommodation to experience living within a family learning about the complexities and simple joys of Malawi village living. 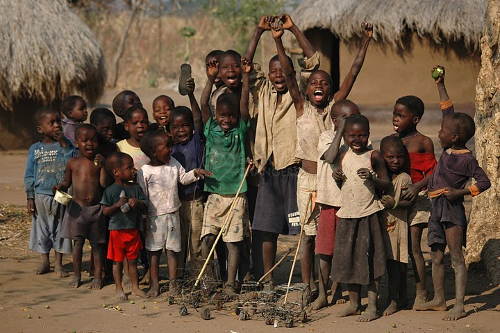 Goal 1 - End Poverty: Tourism can partner with NGOs to ensure poverty-stricken local people benefit. Goal 2 - Zero hunger: Tourism’s food supply requirements can support local agricultural producers and ensure no waste with initiatives for staff and community. Goal 3 - Health & Well Being: Multi-stakeholder partnerships can step in where public funds are not available to support staff and community health initiatives. Goal 4 - Quality Education: Tourism can help train for livelihoods, and offer financial assistance for local pupils and schools, where public funding is insufficient. Goal 5 - Gender Equality: Partnerships can supporting women’s empowerment and entrepreneurialism. Goal 6 - Infrastructure for water and sanitation can be developed for tourism requirements which support local communities access. Goal 7 – Affordable, reliable, sustainable and modern energy requires investment; in developing countries often from aid in conjunction with public and private sector partnerships. Goal 8 - Economic growth & productive employment – partnerships help growth, job creation and capacity building through training. Goal 9 - Infrastructure, sustainable industrialization and innovation – public/private partnerships can deliver projects with social, environmental and economic balanced benefits. Goal 10 – Equalities can be improved working collaboratively in partnerships. Goal 11 – Cities and human settlements: Partnerships between city public bodies and private enterprise can support sustainable social and urban issues: migration, housing, energy, waste, environment and quality of life, for ‘better places to live in and visit’. Goal 12 - Sustainable consumption and production: Transitioning to sustainable economies globally necessitates partnerships with policy setters, public and private sectors and NGOs. Goal 13 - Climate Change: The world’s biggest issue requires partnerships across the globe in all sectors to act for prevention, mitigation and adaptation. Goal 14 - Life below Water: Marine ecosystems require policy and practitioners to be sustainably managed. Goal 15 – Life on Land: Our huge complex ecosystem requires partners for sustainable management and conservation. 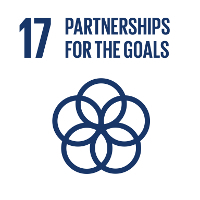 Goal 16 – Peace, Justice & Strong Institutions – cannot be achieved alone, only in consensus, with Policy, an enabling environment and the partnerships involved. Blog: What are the Sustainable Development Goals and what have the got to do with Tourism?